In-vehicle entertainment has evolved with another innovative product from Mopar for your Jeep Liberty. Sirius Satellite Radio will introduce a new level of depth and content to radio listening by providing up to 100 channels of digital entertainment coast to coast; 60 commercial-free channels of music and 40 channels of news, sports and entertainment. Programming varies from the Best of the 80's and Rock to Classic Jazz and Country sounds, ESPN Radio and The Weather Channel to Radio Disney and The History Channel. The system uses statistical multiplexing technology, which optimizes the fidelity on each channel, to provide superior sound resolution. The Sirius Satellite Radio System plays directly from your vehicle's radio with the installation of a special receiver and permanent mount antenna. Activation is free; a monthly service fee will apply. 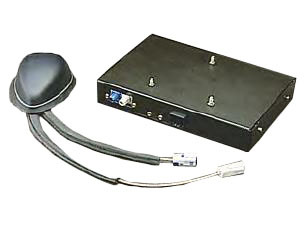 Gen 2.5, Sirius Satellite Radio Receiver and Antenna Kit: includes J1850 receiver, permanent mount antenna, owner's manual, and activation information. Vehicle specific installation kit is required (See Accessories tab above.). For use with Mopar and production radios only.